AACHEN, Germany, Dec 2, 2016 – DAL DT Technologies uses “exocam powered by ModuleWorks” to provide a high-performance, fully integrated workflow for dental milling applications. DAL uses the technology in its own dental laboratories and is also an official reseller. exocam powered by ModuleWorksis seamlessly integrated into the exocad CAD software and is a complete and easy-to-use dental CAM solution.It uses machining templates in the form of xml scripts for efficient and flexible implementation, and contains a complete toolset library for manufacturing a wide spectrum of dental indications. The integrated kernel, which is used for the toolpath calculations, provides state-of-the-art 3-axis and 5-axis CAM features for enhanced machining strategies for dental milling and grinding. The optional machine and material removal simulations offer realistic visualization with advanced collision avoidance algorithms. 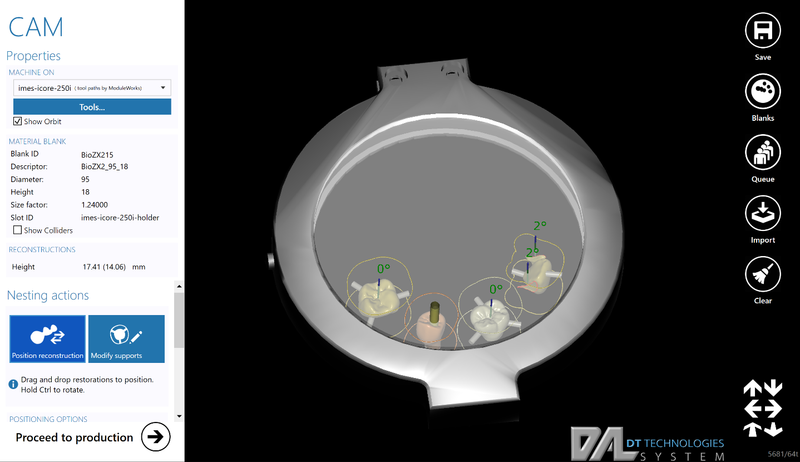 The exocad-exocam environment offers an open interface for loading CAD files designed in exocad (*.dentalCAD) or other CAD software (*.stl) to deliver a fully integrated dental CAM product that boosts efficiency, quality and productivity in dental labs and milling centers. For more information about exocam powered by ModuleWorks, please see the factsheet and the latest videos on Youtube. DAL DT Technologies, the newest division of Dental Arts Laboratories, Inc. (DAL), is a provider of CAD/CAM equipment, materials and support to the dental laboratory industry. DT Technologies has partnered with many key companies in the dental industry, Medit, exocad, Roland, imes-icore and ModuleWorks, to offer easy to use, fully open CAD/CAM solutions. Additionally, DT Technologies is a North American distributor for Dental Direkt and the BioZX2 and CubeX2 Cubic zirconia materials. Over the last four years, laboratories across the United States and Canada have benefited from their CAD/CAM expertise and proven systems. This entry was posted in CAD-CAM-CAE, Featured News on December 2, 2016 by Sharmila Guha.